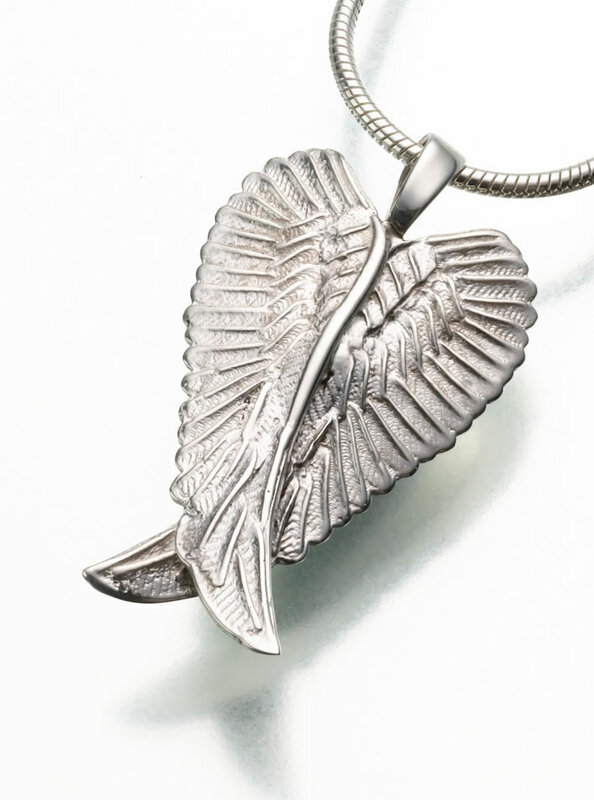 The Angel Wings Cremation Pendant is the perfect reminder that your loved one is now an angel watching over you. The Sterling Silver wings measure approximately 1.25"L x 0.75"W x 0.25"D and are gracefully crossed at the tips. The pendant can be filled through a threaded screw in the middle of the back side of the wings. Pendant includes an attractive black velvet gift box, glue, care card, filling funnel and instructions, and a 24" silver box chain. Note: An optional 20" silver snake chain (shown in photo) can be purchased for an additional fee. Usually ships same business day if order is placed by noon Eastern Time. Item ships from the Midwest.